We have been on a green curry kick. 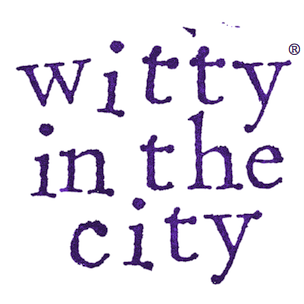 It is fun finding new uses for the flavorful curry paste. 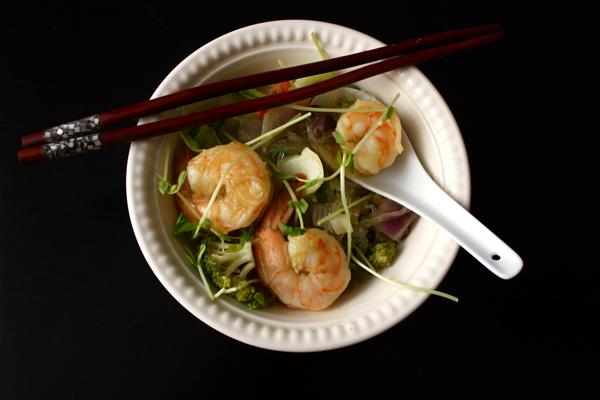 This time around, I stirred it into a healthy noodle bowl full of veggies, shrimp, and glassy noodles. This meal is also gluten free! I especially liked it because it gave me an opportunity to pull out all of my Asian-inspired eating utensils, but of course, a fork turned out to be most efficient. 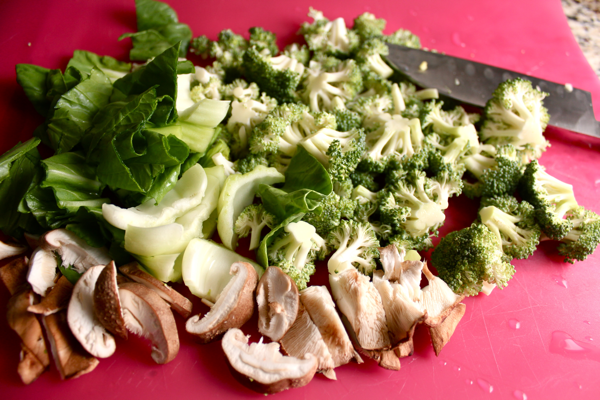 To make these noodle bowls, start by chopping up your vegetables. I used broccoli, shiitake mushrooms, bok choi, onions, and carrots. Bean sprouts would also be divine because they are crunchy and their shape mimics the noodles. Because the onions and carrots take longer to cook, stir fry them first in a pot with some olive oil and sesame seeds. 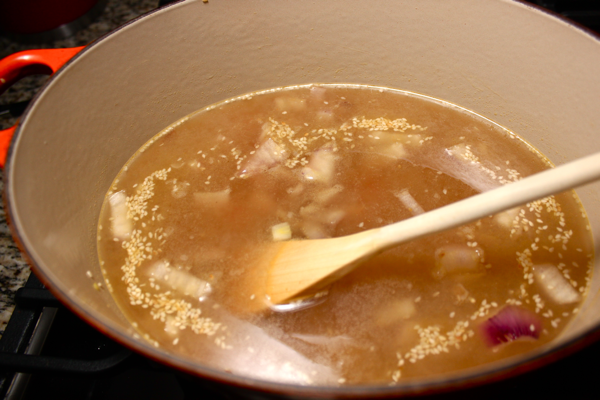 Once they start to soften, add 1 quart of chicken or veggie stock to the pot, and bring it to a simmer. 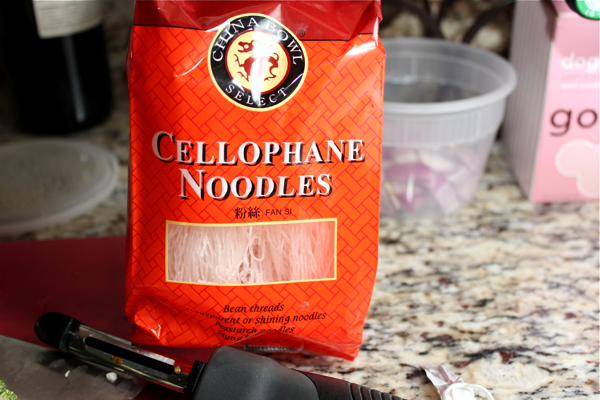 I love these cellophane noodles. They turn clear when they are cooked, and I think they look magical. 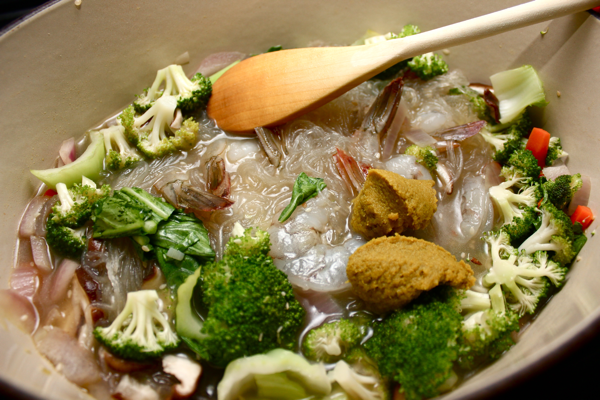 Add your quicker cooking veggies and one package of cellophane noodles to the simmering water. Lower the heat so that the stock just barely bubbles, cover the pot, and let it rest for 10 minutes. During this time, the noodles will absorb almost all of the liquid from the pot. 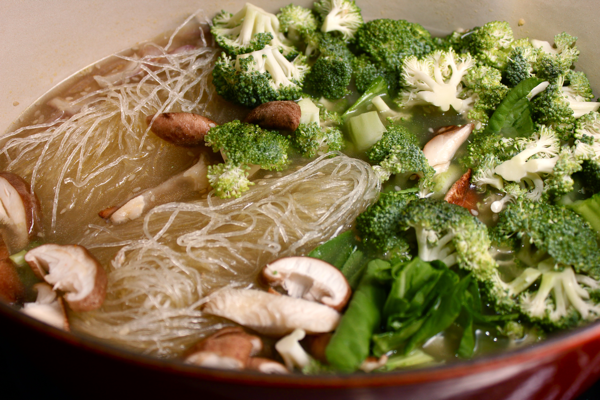 If you prefer to have more of a soup than a noodle bowl, cook your noodles in water according to the package’s instructions, and then add them to the veggies and stock later. 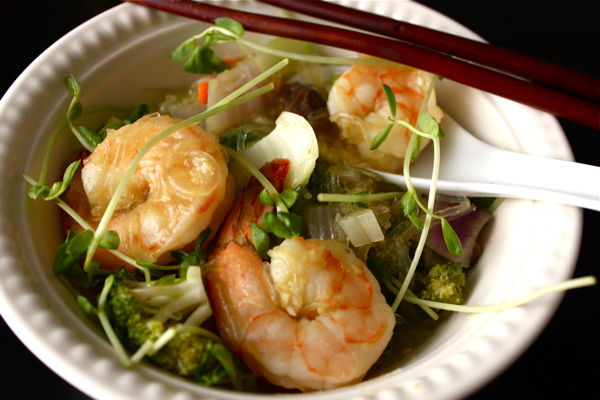 While the noodles and veggies are cooking, prepare your shrimp. Add the shrimp to the pot along with 2 tablespoons of green curry paste. Mix everything around so the curry paste is incorporated. 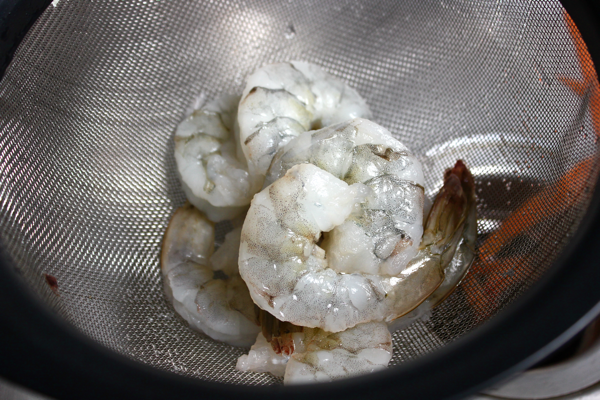 Let the shrimp cook for 2 minutes or until they are pink and opaque. If you have it, top your noodle bowls with fresh cilantro. I used pea shoots for a little extra greenery. I hope you enjoy this healthy but filling bowl.